Square Capital is a lending service that provides short-term loans to small businesses that use the Square service to process credit card payments. It offers loans up to $250,000 with an 18-month repayment period. In this article, we cover Square Capital reviews and pricing. Ready to get started? Get a loan. Square Capital pricing and rates are customized based on the borrower’s daily card sales. The loanable amount ranges from $500 to $250,000 with an additional custom fixed fee. Loans should be paid in full within 18 months; otherwise, the remaining loan balance will be due in full. Ready to get started with Square Capital? Get a loan. As of the date this article was written (March 20, 2019), there are no up-to-date Square Capital reviews online. If you are a past or current Square Capital customer, leave a review to help other business owners who are deciding whether or not to use the company. 6 Best Easy Small Business Loans 2019: With many online lenders these days, applying for a small business loan has become much easier. Easy business loans are characterized by short applications, simple repayment procedures, easy-to-manage accounts, and fast application processes. Read on our guide to learn how easy business loans help business owners save time so that they can focus on their business. How fast can borrowers get their funds from Square Capital? Once the application is approved, their funds will be deposited on the next business day. However, the availability of the funds still depends on the processing speed of the borrower’s bank. Will applying for a loan with Square Capital affect the borrower’s credit score? No. Applying for a loan with Square Capital will not affect the borrower’s credit score. Square Capital also doesn’t require collateral for business loans of $75,000 or less and do not require a personal guarantee. Have you read these Square Capital reviews and are still not sure if it’s the right fit for you? Read our reviews of all top lenders or check out one of these three Square Capital competitors. Convenience! Square allows me to accept any type of payment remotely, which is crucial to the success of our nonprofit. We are able to accept payments and donations on the spot which has increased our revenue. Donors love the reliability and the convenience as well! 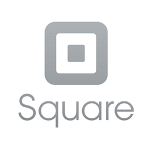 Square capital has become businesses worst nightmare! The company seems to not be loaning money as many of us have our loans paid for or close most of us have had 2-5 loans already and paid them off and now we aren’t getting no more offers or are being denied for bogus claims about several businesses like you have to many accounts, you have liens, you don’t do enough card processing, send your payments automatically to your accounts after 50.00, the reasons are endless and many of which seem to be bogus according to businesses since they claim they did not provide ss numbers to square to obtain the loans in the first place. 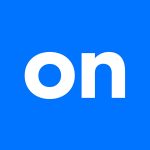 This seems to be big trouble for square and poor business practices many businesses are outraged at square and are looking into better operated companies to process there credit cards. Why lie to your businesses simply tell them lending is cut off! Outraged business owner! Our business has used square capital 3 times. The first two loans were relatively small and paid back in less than 6 months. We then were offered a third loan much higher and honestly, it was hard to resist thinking about the no hassle access to funds into your business in 1-3 business days. Square automatically takes their cut from total credit card transactions, not actual business profit. Meaning, if a customer is charged $10 for their meal and they pay another $2 in tax and offer a $2 tip, their card is charged $14. The business is making $10 but since the card is processed for $14, Squares payment is taken out of the $14. This may seem like no big deal in small transactions and if folks are paying with cash at least half the time (as Square can’t take from that) but we’re in the food industry and folks are rarely paying cash. About 85% of our sales are with a card. We charge sales tax and our employees get great tips so ultimately Square is considering the funds as a part of their payment. What does this mean? When making payments to Square through your “sales”, you are ultimately paying Square more than what your business is actually making. Our business pays Square back about $1000 a week.. just about $4000 a month which is not really reasonable. What business can pay back a loan that fast? It’s my fault as I didn’t realize this until later and now I’m stuck paying it back in this way.. there’s no other option to sort of slow things down as far as paying them back. I’ve asked them about this and they said they would “bring it to their team.” I’ve also contacted them to get a lower transaction fee rate because according to their website, our business does qualify. They took my info and passed it off to the “appropriate department.” I never heard from them. If you just need a quick advance, it’s a great tool but if you’re looking for a much larger loan to get your business off the ground, try to look elsewhere first where they give you time to pay off your loan. I realize not everyone qualifies for things like that but just be aware. Square really needs to provide some more options for this. My first square loan went well. I have virtually paid it off but have been denied a new loan and am puzzled as to why. Annual card volume of about 240k. Very frustrated that you cannot speak to anyone at Square Capital on the phone or to anyone with decision making authority. We are a seasonal business and I’ve tried to impress that upon them. Maddening trying to have any type of discussion other than boilerplate emails.